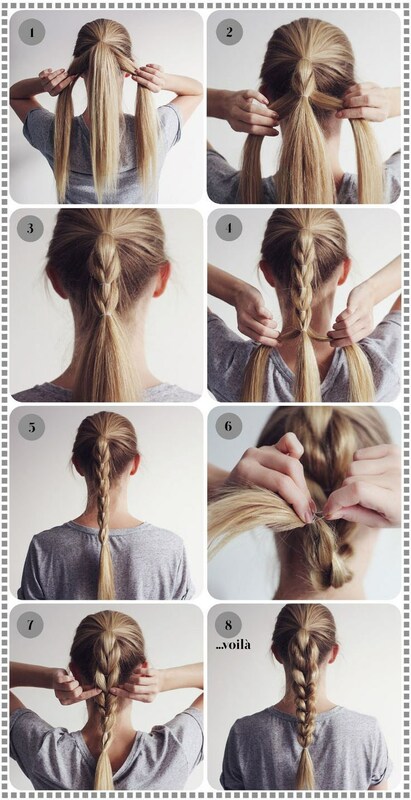 ☛ Tie your hair into a ponytail and take 2 thick strands from both the sides of the tail area. ☛ After that take another 2 strands tying them below the first hair band. Keep repeating this step till you reach the end of the tail. ☛ After that pull a strand. By doing so a fluffy effect will be created on your ponytail and it will appear to be huge in size too.